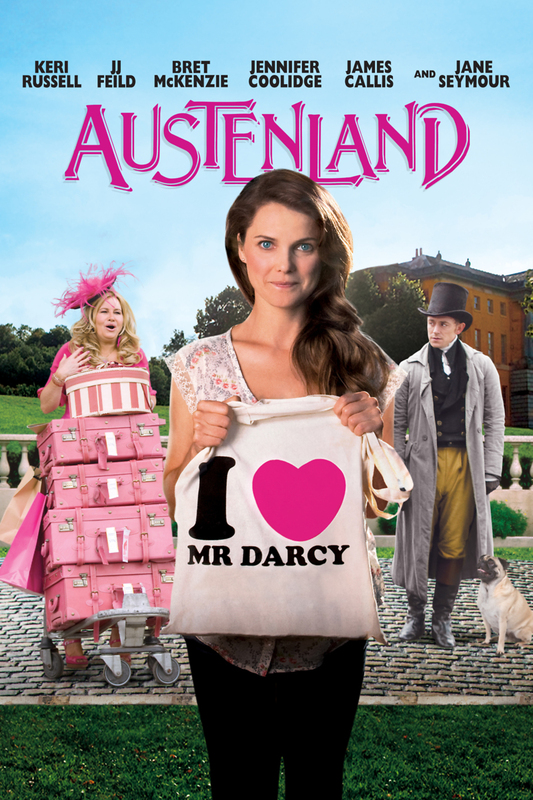 Austenland DVD and Blu-ray release date was set for February 11, 2014. Jane Hayes is a woman in her 30s who is utterly obsessed with Mr. Darcy, as portrayed by Colin Firth in the mini-series adaptation of Jane Austen's classic novel, "Pride and Prejudice." Because she is so fixated on him, she cannot meet with any success in romance; none of the men she meets measure up to her fantasies. Then Jane hears about Austenland, an English resort where she can live out her dreams of Regency romance, and she decides to pour her life savings into this dream vacation. Of course, she hopes that she will be doing more than just wearing fancy dresses and speaking in old-fashioned lingo. If all goes well, she will meet a Mr. Darcy of her own - hopefully to keep.